The Chill out can be the style of decoration that responds to all those who live a daily life with stress, tight schedules and feeling of overwhelm. Getting to our home and closing the door to all external responsibilities is not easy. If we could delight in a home with a comfortable atmosphere that invites us to rest and help us to replenish our energies would be very important to enjoy a good quality of life. We will opt for the best decoration that meets our expectations. 1 What is the chill out atmosphere at home? What is the chill out atmosphere at home? Among the many trends in decoration, there is this style that is based on the English expression “Chill Out”; Concept that will guide us in choosing the elements that make up the decoration of the room so that everything points to relaxation, a quiet fun and enjoyment of free time. This atmosphere can be compared to Chill out ambient lounge. So we will combine all of them to achieve our goal. It is completely focused on relaxation. We will think that we are going to spend our free time in that environment. All efforts will be to achieve an environment that invites you to sit or lie down and spend a lot of time away from worries. Following these criteria and adapting it to our personal preferences we will begin to create our project to create a nice Chill out atmosphere at home. The first thing to analyze in the decorative project is the available space. It is not the same a small corner that a much greater zone. Whatever the size, we can get a spectacular result, but the way to decorate will be different because, we must reject the massification to get the best use of our decoration projects. Choose the furniture that reflects tranquility and comfort that guarantee us, that’s the most important. Ideally, put a couple of sofas where we can go to bed, modern sofas and chairs. Also will be very welcomed a couple of bean bags or pillows in a circle around a table. The best option to buy furniture is to choose natural materials without ornamentation or luxuries. All the main furniture, auxiliary furniture and utensils that promote a personalized atmosphere and make our leisure time perfect are welcome, but always without excess. In general, decorating colors should be cheerful, but not overly aggressive. We look for a relaxing atmosphere, but not euphoric or depressing. The main colors have to be neutral, being the white color the main person to transmit tranquility. Use this color for the Chill Out sofa and the curtains. The touch of color we have to give with the accessories of decoration, such as cushions, vases, etc. The wooden furniture or wicker in natural colors is ideal for a perfect match with a lot of play throughout the year. The plants and their green color contribute to add a special energy. If we do not have time or we cannot take care of them, cacti are well adapted and do not require much care. The importance of colors is similar to the fundamentals of Feng Shui theory, as is the importance of the presence of different materials such as green plants, among others. We will not forget to allocate a budget for the lighting. It should not be very white, we will go in search of some lamps of warm light and if possible, we will put different led lights to vary the intensity of the illumination. Suitable design and decorative lamps may be important in the final composition of the environment. It is also very interesting the inclusion of light of candles or flames from a decorative fireplace. In a decoration of environments in which it is essential simplicity we must avoid, above all, to recharge the space. For this, it is advisable not to overdo it with the placement of ornaments, accessories and accessories. So, a good idea is to use the decoration with vinyl that allow us to customize the space with the preferred motif. The vinyl will be a joker that we can remove and put easily to complete the decor of the walls of our Chill Out room. They are very indicated the floral vinyl, themed vinyl, vinyl with motivational phrases or with panoramic views and even personalized custom vinyl or murals we can see while we relaxed in a chair with good music, alone or in company. First, we will think about whether we want to have this Chill Out style in indoor or outdoor decor. 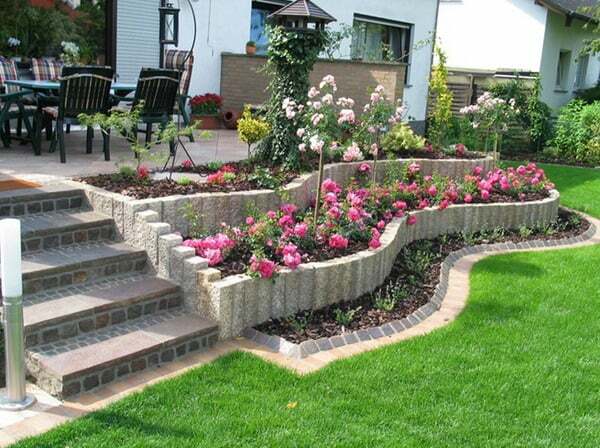 It may be a good idea to start decorating terraces, balconies or gardens that help your location. In warm seasons or if we have closed terraces we can create outdoor chill out atmosphere to enjoy with family or friends. Create a relaxing space in which to forget the rest of the world is not an easy task. Therefore, we must bet on personalized decorative styles that are able to relax and create a chill out salons to our liking. It is important conditions, as far as possible, that we can be surrounded by nature or plants, have airy spaces and without too much ornamentation. The feng shui, the zen or oriental style tend to prioritize this standard that allows us to be comfortable and forget the outside world. Being close to the plants, placing a very dim lighting with a cool and harmonious environment are essential factors. Obviously, if we can create our own environment with our personal style, we can also invest the money we want. We can opt for an economical Chill out decoration, for that we can use cheap furniture, recycled furniture or create a chill out area with pallets. Currently in the low cost decoration they are becoming an important gap the accessories and furniture made with pallets, you can build all kinds of furniture like sofas, beds, tables, shelves, furniture auxiliary and objects of decoration. These furniture can be used for interior and exterior decoration and with them you can get an exclusive and inexpensive attic, porch, patio, garden or terrace. Besides these furniture of terrace with pallets are very appropriate to give to the atmosphere a sensation Chill out relax, because our mind relaxes when the economic value of the things is smaller. Finally, it is important to remember that everyone has their way of resting, relaxing and escaping from the daily routine. There are those who like to read, or need a comfortable space to do some yoga or exercises, a place of meditation, we each have our best form of relaxation. We must create that special corner. We have variety of decorative styles that often help achieve this harmony and are able to create a positive energy in our corner to achieve disconnect. Now that we know some of these styles to assemble and decorate ideal and quiet spaces to spend free time, we just have to choose the one that suits us best and get us to work. Copyright © 2013-2017 Home Decor Help All Rights Reserved.